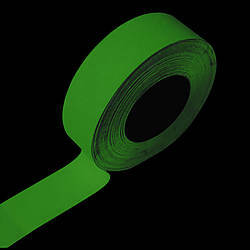 FindTape AST-GL Anti-Slip Glow Line Safety Grip Tape is a cost effective, anti-slip glow in the dark tape that provides visual aid and safe guidance along with slip protection in low light or no light situations (or during disasters like fire, earthquake, power failure, etc.). 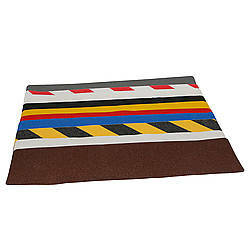 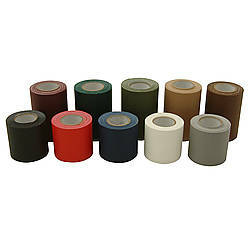 AST-GL is a self-adhesive, anti-skid tape that can be applied over almost any surface that provides an instant non-slip surface which can be used on staircases, walkways, ledges, steps, stair nosings, access areas, entrances, exits, or anywhere else that needs strong, power-free lighting to ensure safe areas. 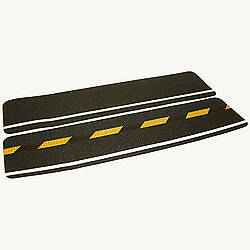 Offered in long 60 foot lengths. 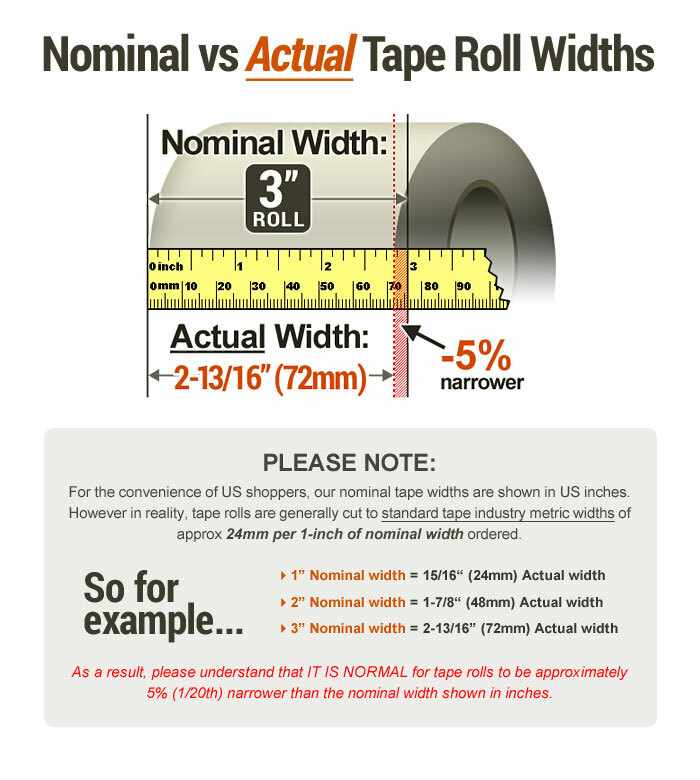 This meets safety regulations OSHA 29CFR part 1910.23 and CoF Standards for Americans with Disabilities Act 2008 and is NFSI Certified. The contrast in color between the black safety grip coat and the photoluminescent strip on the center of the roll allows the glow to be highly visible. 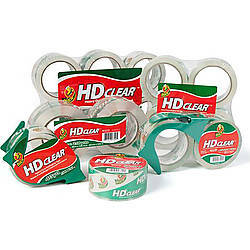 AST-GL is 30 millicandelas per m2 at two minutes and glowness decreases to 5 millicandelas after ten minutes. 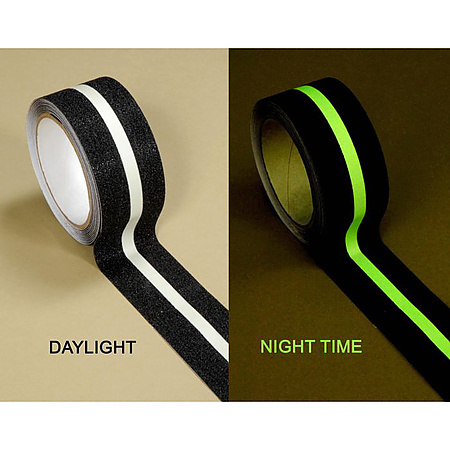 The tape is charged by either natural or artificial light (approx. 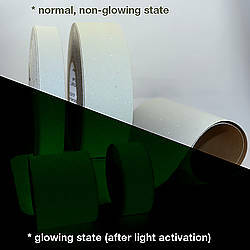 2 hours for a full charge), with the photons storing the light as energy and releases it as a bright green glow when it’s in the dark. 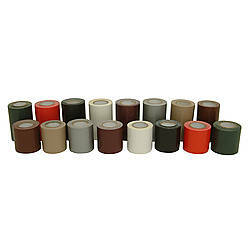 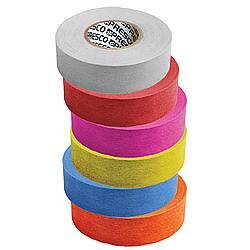 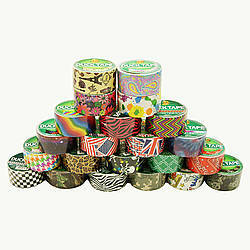 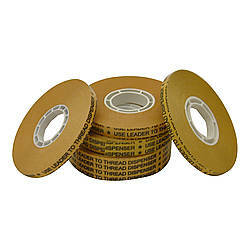 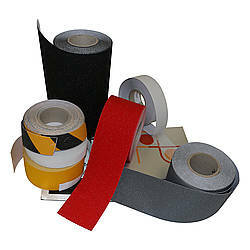 This is a very durable tape as it is water, chemical and motor oil resistant. 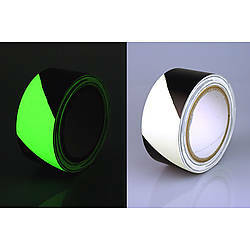 Since the photoluminescent tape is placed in the middle of the roll, it is less prone to be stepped on directly with foot traffic which allows the tape to have a longer performance life. 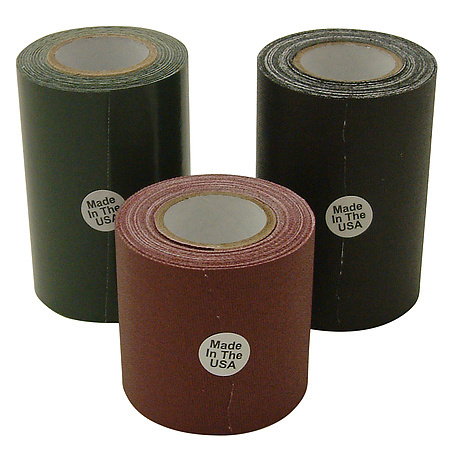 Thickness: 4 mils (carrier) What is mil thickness?